We’re currently staging a new-account drive at our website, www.archeophone.com –trying to get old and new customers alike to visit our new site and sign up for accounts. 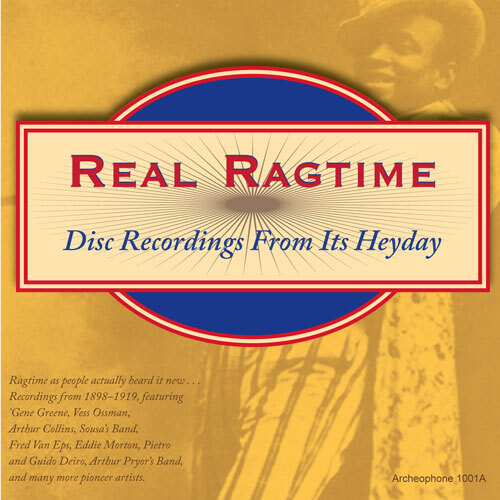 To sweeten the deal, we’ve got a killer deal on the newly remastered edition of our very first CD, Real Ragtime: Disc Recordings from Its Heyday. It’s like we’re starting all over again, but this is so, so much better. Running your own shop is a blessing and a curse, as we all know. When it comes to putting out a product like our CDs, the blessing is that you have full control over the production and can exact your own creative vision. That’s the curse too: you just can’t stop trying to make it better. Real Ragtime has been out in four different audio versions. The first came in 1998 and was on CD-R, as we were just getting started. The second was a professionally manufactured CD, done over in 1999. In 2001, David Wondrich wrote about that CD in The New York Times and brought it a good deal of attention. Then in 2005, we totally revamped the CD, subbing in one track for another and adding a bonus track. The catalog number morphed from ARCH 1001 to ARCH 1001A, the “A” representing the altered playlist from the previous editions and newly designed and expanded notes. 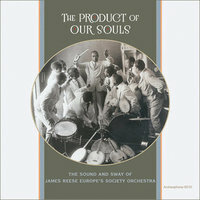 Now, after more than 10 years since the last edition, we have pressed yet another and revisited the sound. And here’s why: We’re committed to REFRESHING the product, not simply REPRESSING it. It’s not that we want to make customers buy the same title over and over again; rather, it’s that we want to keep it in print, and if we are making that commitment, we want it to be the best it can possibly be. Given the technical advances of the last 15 years, as well as our improved skills, this often means starting from scratch. This is our M.O. going forward, and that’s why we try to provide upgrade pricing for loyal customers. Whenever you feel grumpy about a record label continually issuing “anniversary editions” of one of your old favorites, remember that they face the same question: either give a catalog item a facelift and a new life or delete it from the catalog. While it’s easy to assume that an album will just always “be available,” it isn’t always feasible to keep it in print. So how is Real Ragtime better, sonically speaking?